WEDNESDAY, Oct. 3, 2018 (HealthDay News) -- The impact of acne is more than skin-deep, and often disrupts sleep and well-being, scientists have found. Researchers in Ireland report that perceived social stigma diminishes quality of life for many who have acne -- especially girls and women. "We know from previous research that many acne sufferers experience negative feelings about their condition, but we have never before been able to draw such a direct link between quality of life and perception of social stigma around acne," said study author Aisling O'Donnell. She's a lecturer in the University of Limerick's psychology department. The study findings echo previous research "showing that individuals with visible physical distinctions, which are viewed negatively by society, can experience impaired psychological and physical well-being as a result," O'Donnell said in a university news release. Acne isn't only a teen problem. The skin condition affects almost 13 percent of adults aged 59 and older and more than 1 in 10 kids between ages 5 and 13, the study authors said. For the new report, the authors surveyed almost 300 people with the blackheads and pimples that characterize acne. They found that those who perceived the most acne-related stigma had more psychological distress and physical symptoms such as trouble sleeping, headaches and digestive issues. Women reported more severe symptoms than men. And acne severity correlated with the quality-of-life issues and mental distress, though only an association rather than a cause-and-effect link was seen. Facebook and other social media may indirectly reinforce perceptions of acne stigma, the researchers said. "Like many physical attributes that are stigmatized, acne is not well represented in popular culture, advertising or social media. 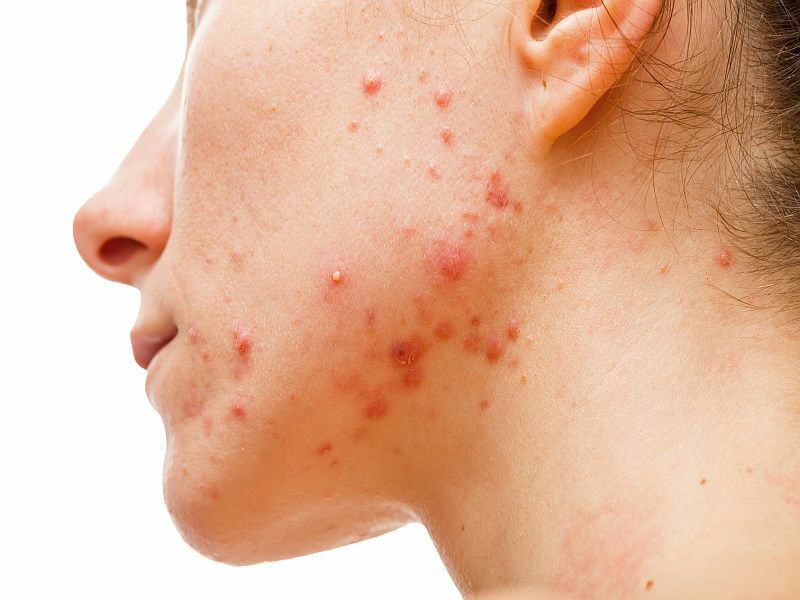 This can lead people with acne to feel that they are 'not normal' and therefore negatively viewed by others," said study co-author Jamie Davern, a Ph.D. student also at the University of Limerick. Davern said the findings are important for health care providers and anyone who has a loved one dealing with acne. "The wider negative impacts some acne sufferers experience are very challenging and require sensitivity and support," he added. The study was published online Sept. 28 in PLOS ONE.